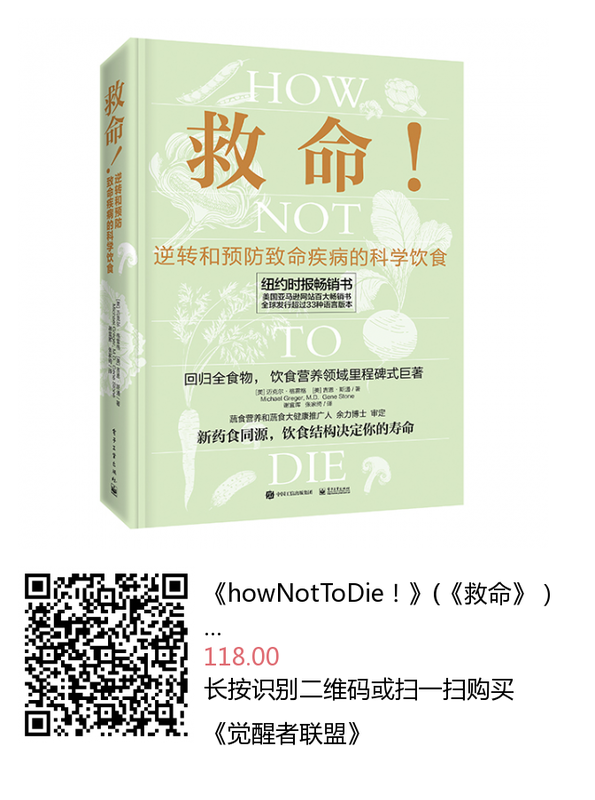 Dr. Greger’s New York Times Bestseller How Not to Die has been published in China. To purchase, extract the QR code below. All proceeds from books, DVDs and talks go to charity.